The slim coin wallet Garzini Essenziale Pezzini is proudly developed in house, starting from a blank sheet. It's designed to carry the contents of a normal wallet while offering you the thickness of a card holder. We reinvented the traditional coin wallet to give you the best of both worlds. No more loose coins and no more sacrifices towards design or sleekness. 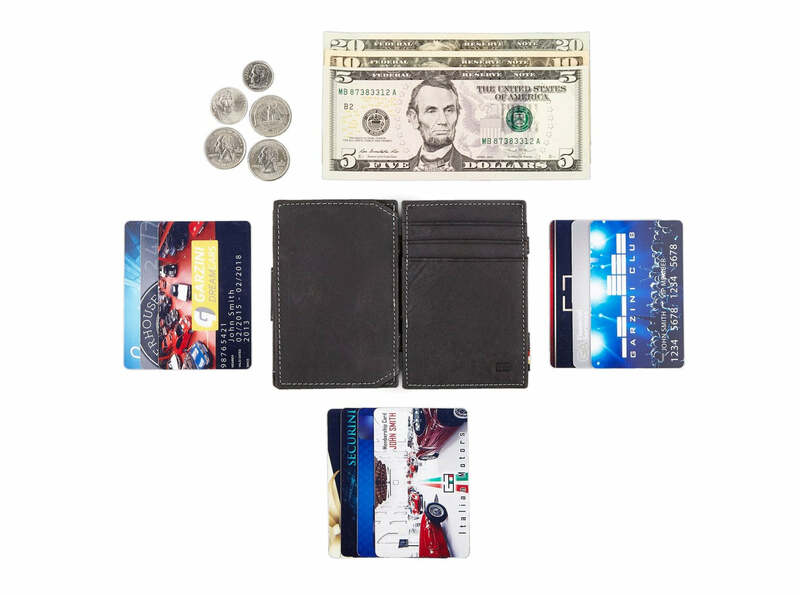 Next to coins this slim coin wallet is capable of holding up to 10 cards in anti slip card slots both inside and outside. The Versaflex system safely stores all international banknotes, receipts and even business cards.